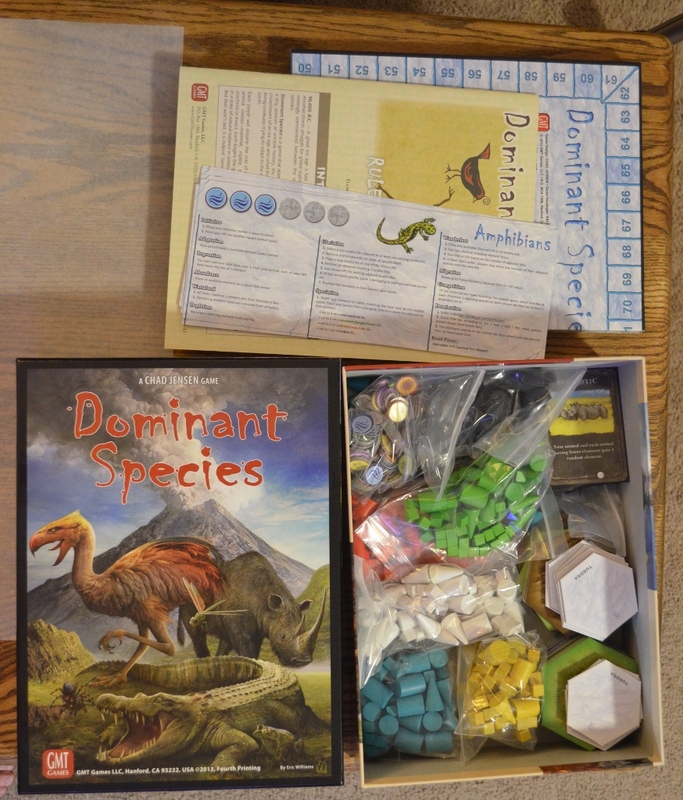 I’ve heard great things about the strategy worker placement game Dominant Species and I knew even before I got it from images from Board Game Geek (best board game site ever) that it would be in great need for an insert. I could already foresee a little wood bit tumbling out of its pile during game play and falling victim to either the vacuum or a curious dogs digestive track. Sideways storage safe and passes a medium shake test. Individual player faction bits trays. Room for everything to fit even after that MAMMOTH sized board is placed in the box. Bits box trays designed so my fingers could actually remove bits without feeling like I’m playing a drunkin game of Operation.